The community’s daylight ramblers and traditional two-story layouts range in size from 2,242 to more than 3,200 square feet. 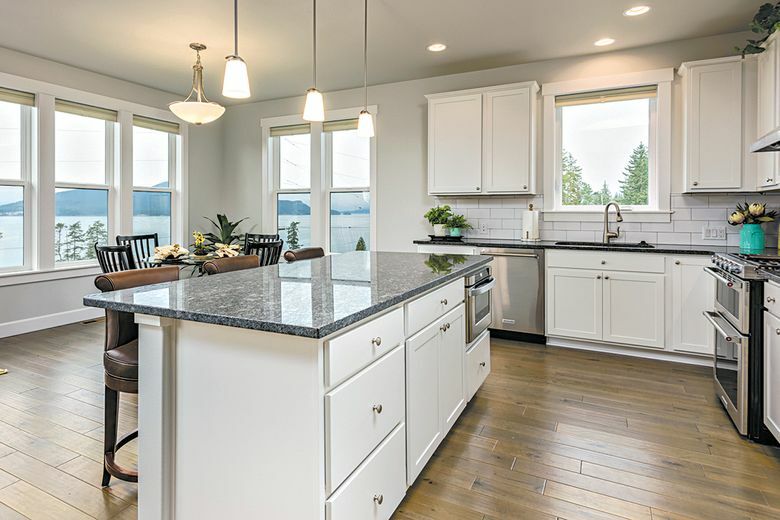 Visitors can view several quick-delivery homes under construction at 48° North, a community of 30 homesites featuring views of the San Juan Islands and the Guemes Channel. 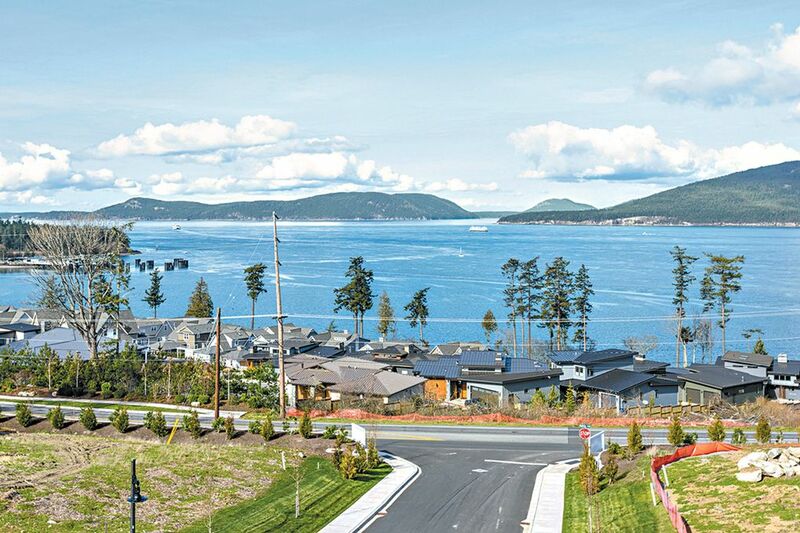 ANACORTES — Hard-hat tours of several quick-delivery homes under construction will be offered this weekend at 48° North, a community of 30 homesites featuring views of the San Juan Islands and the Guemes Channel. Built by Landed Gentry Homes and Communities, the daylight ramblers and traditional two-story layouts range in size from 2,242 to more than 3,200 square feet. They include two-, three- or four-car garages, and many have media rooms and bonus loft options. Several floor plans have master suites on the main level. “The builder is offering several thoughtfully designed home plans that are designed to take in the natural vistas and optimize comfortable living,” says Rita Grant, the community sales manager. Buyers at 48° North are able to personalize their homes with selections that match their lifestyle and taste. Finishes include hardwood flooring; solid-surface counters; solid wood cabinetry; and fully landscaped, irrigated and fenced yards. The 30 homesites featuring views of the San Juan Islands and the Guemes Channel. Tours of a professionally furnished model home will be offered this weekend. Featuring the builder’s Larrabee design, the model home has just over 3,000 square feet of living space with the master suite, guest room and study on the main level. The lower level includes a family room, two additional bedrooms and a bathroom. The open floor plan offers views of the San Juan Islands, and covered decks on both levels take further advantage of the vistas. 48° North’s location in Anacortes is within walking distance of Washington Park, the Guemes Channel Trail and the San Juan ferry terminal. It also offers convenient access to local amenities such as a hospital, a library and several marinas. 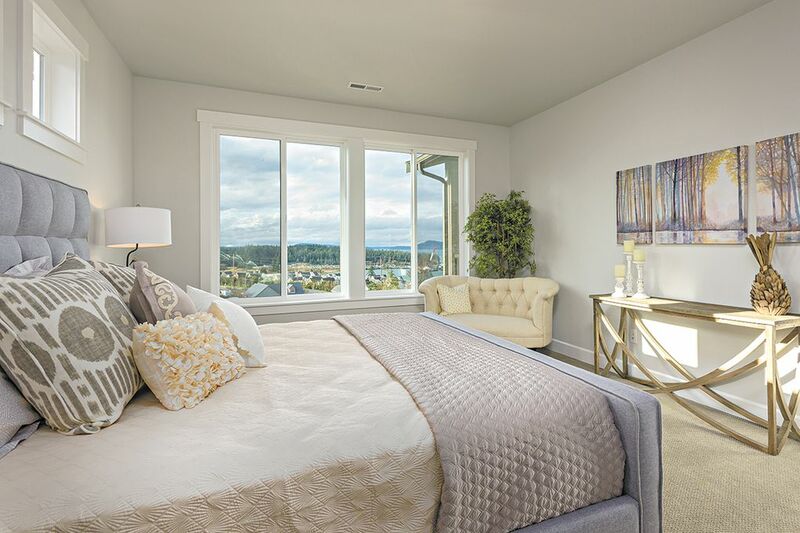 The master suite is located on the main floor of the Larrabee design, which is featured in the professionally furnished model home at 48° North. Anacortes is a coastal community with outdoor recreation all around, ranging from boating and fishing to hiking and biking opportunities. There is a vibrant arts scene, and it is home to many galleries and a monthly art walk. Seattle and Vancouver are each a 1.5-hour drive away. Landed Gentry Homes and Communities, the builder at 48° North, is a local family-owned business that has been building homes in the Northwest since 1979.